Couture Bridal Photography offers engagement photography throughout Fort Lauderdale for couples looking to set the tone and mood of their upcoming wedding day. Having an engagement photography session is a great way to become familiar with your wedding day photographer. An engagement photography session is also a way to set the tone for your wedding day by using your pictures in save the dates and wedding invitations. 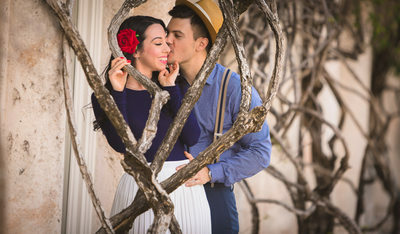 Fort Lauderdale has a variety of fun and romantic locations to have engagement photos done. Fort Lauderdale has miles of beautiful beaches, large parks and many locations right on the street with beautiful architecture to enhance the look and style of your engagement photography session. Engagement photography is a great way to show your personality and the love you and your fiancé have for each other. Engagement sessions can also include the location where you met, or maybe even shared your first kiss. In either case, having an engagement session is an experience every couple planning a wedding should have. Sometimes and engagement session might be referred to as a "Pre-Wedding" photography session. What's is the purpose of an engagement photography session? The reason couples choose to have engagement photography that show their love, devotion and to look back to before the time they got married. Sometimes an engagement photography session is the only formal photography a couple will have since being together, especially since cell phones have cameras and selfies are now the norm. Engagement Photography is usually done at places or locations where a couple might have met or where they spend time together and enjoy most. Many couples opt to have their engagement pictures taken a local beaches, historical buildings, or parks. Any location of significance to a couple is a great place for a fun filled and enjoyable engagement photography session. Anything and any place is perfect for an engagement session as long is it matches the couples personality and they you fun. Couture Bridal Photography has made engagement photography sessions a integral part of the wedding photography experience we offer to every couple. As Fort Lauderdale's only boutique luxury wedding photography studio based in Fort Lauderdale, we love spending time getting to know our couples intimately to build a relationship that makes their wedding day photography a fun and comfortable experience. I love using various photography styles in order to capture the very essence of our wonderful couples lives and of being deeply in love. Being Fort Lauderdale's premiere wedding photography studio, we use a very distinguished and unique style of photography that incorporates a mix of photojournalism, fashion, glamour, illustrative and editorial photography to create the most artistic, spectacular and timeless photography that has made us the most sought after wedding photography studio in Fort Lauderdale, Miami, Palm Beach and the Florida Keys. Couture Bridal Photography offers couples options on how and what time an engagement photography session should be held, so it's most convenient for our couples. Although we do offer advise on the best times as well as locations and ideas for beautiful engagement photography. We work closely with our couples whether they just want engagement photography or want one as part of their wedding photography experience. How to have an engagement session on a destination wedding? Most couples ask about destination wedding photography and we offer every destination wedding photography commission a pre-wedding session, which is essentially an engagement session, but done the day before a destination wedding. Typically, we don't get an opportunity to meet a couple when we are hired for destination wedding photography across the United States and Puerto Rico, but we offer a pre-wedding session as a way to capture amazing images of our couples at their destinations most prominent and historical locations or even the most scenic. This gives our destination wedding photography couples the opportunity to have a fun and entertaining pre-wedding photography session that allows couples to become familiar with each other before their wedding day. A pre-wedding photography session also gets our destination wedding couples familiar with how we capture and create our trademark style of engagement and wedding photography that has been described as elegant, romantic and timeless. 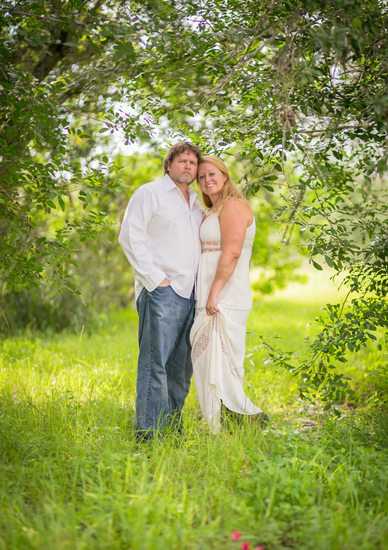 When are the best times for an engagement photography session in Fort Lauderdale? 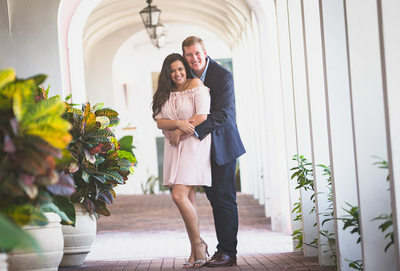 The best time for an engagement session in Fort Lauderdale really depends on the esthetic you are going after, your personality and the location you like to have your photos done. Since we're located along miles of beautiful oceanfront, most couples opt for sunrise engagement sessions on the beach. There is nothing more spectacular than the soft light of the rising sun for engagement pictures. The soft orange flow of the sun is flattering to most peoples complexion and the romance of a passionate embrace and kiss with the sun rising in the background can't be topped. 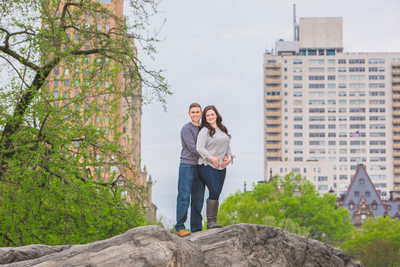 For couples that don't like the beach or aren't early birds the late afternoon is a great time for engagement photography in parks, historical locations, hotels and city streets. The sun is lower on the horizon creating very soft light that mimics the rising sun in the morning. 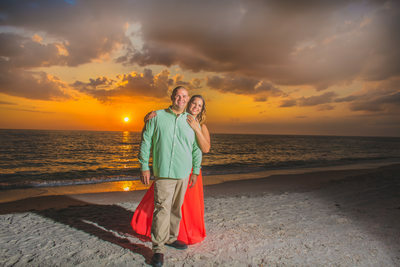 Being on the East coast of Florida, Fort Lauderdale only has a visible sunrise, but I will make the trip to the West coast of Florida for a sunset engagement session if a couple requests it. The key to great engagement photography is good lighting and a location you love. Whether it be the streets of Las Olas, the Bonnet House museum and gardens, or along Fort Lauderdale Beach, I will create something very special for you during your engagement photography session. For adventurous couples, I am a lighting fanatic and an engagement session at night on city streets can be a unique experience that will produce amazing images. 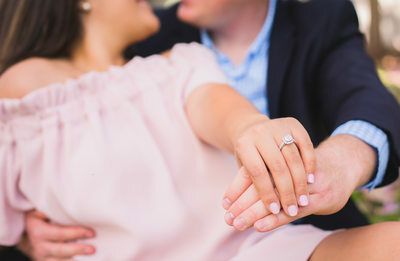 How much is engagement photography? I offer the most comprehensive engagement photography session in Fort Lauderdale. My engagement sessions are up to 3 hours, with unlimited wardrobe changes and locations for $450.00. My engagement photography session also includes a 16x20 print of your choice and one masterfully edited image. All images are delivered via personal online gallery for easy downloading and sharing. Engagement photography sessions are part of both of my wedding photography collections to provide a complete wedding photography experience. Additionally, if you choose to hire me for your wedding day photography, I credit you back $150.00 from your wedding photography collection. This is by far the best bargain on engagement wedding photography in all of south Florida. What days are best for an engagement photography session? I typically offer engagement sessions Sunday through Thursday, since the majority of my weddings fall on Friday and Saturday. Occasionally, I do have some Saturday dates available, so call me and we can schedule your engagement photography when it's most convenient for you and your fiancé. Is Fort Lauderdale the only place for engagement photography? I photograph engagement sessions throughout Miami, Fort Lauderdale, Palm Beach and the Florida Keys most of the time. I do not charge extra for engagement photography in the areas with the exception of the Florida Keys beyond Key Largo. For engagement sessions outside of the south Florida area there will be a small travel fee for fuel. The only other costs would be parking or entrance fees for certain locations where you might choose to have your engagement photography done. 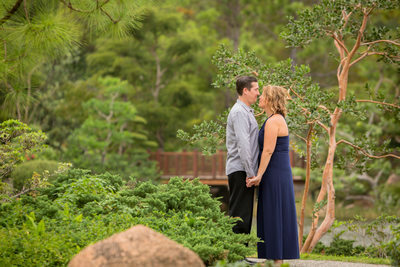 It isn't unusual to have me photograph your engagement session as far as Orlando or Naples Florida. I've even been flown out to Dallas Texas for engagement photography. What should we bring on our engagement photography session? I always recommend my couples bring water and a small towel. South Florida can get really hot and humid, so we always want to stay as hydrated as possible. The small towels are great for wiping or blotting sweat if you should begin to perspire. Bring a change of wardrobe if you want to do some engagement photos in formal clothing and something casual that suits your personality. Typically engagement photography sessions are neat and casual, but everyone has their own style. Additionally, a themed engagement session can be really fun, so lets plan it out and find the location that makes the most sense for your style and tone of your upcoming wedding. Couture Bridal Photography wants to be your wedding photography studio of choice and we offer the best comprehensive wedding photography that includes romantic engagement photography sessions, destination wedding pre-wedding photography session along with many more additional photography services. Call and book Couture Bridal Photography right now for the best availability and current engagement and wedding photography sessions at 954-399-0741 or click here to contact us!